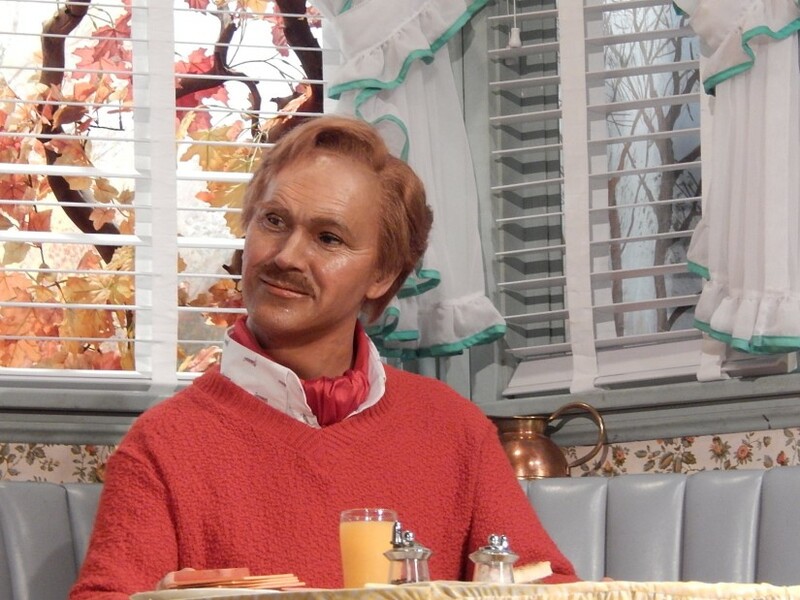 With all the excitement over Disney’s new “Tomorrowland” film opening on May 22, 2015, I thought I would share some of my favorite secrets about my favorite Tomorrowland attraction: Walt Disney’s Carousel of Progress. When you’re in the “Fabulous 40’s” scene, take a look out the window of the kitchen. 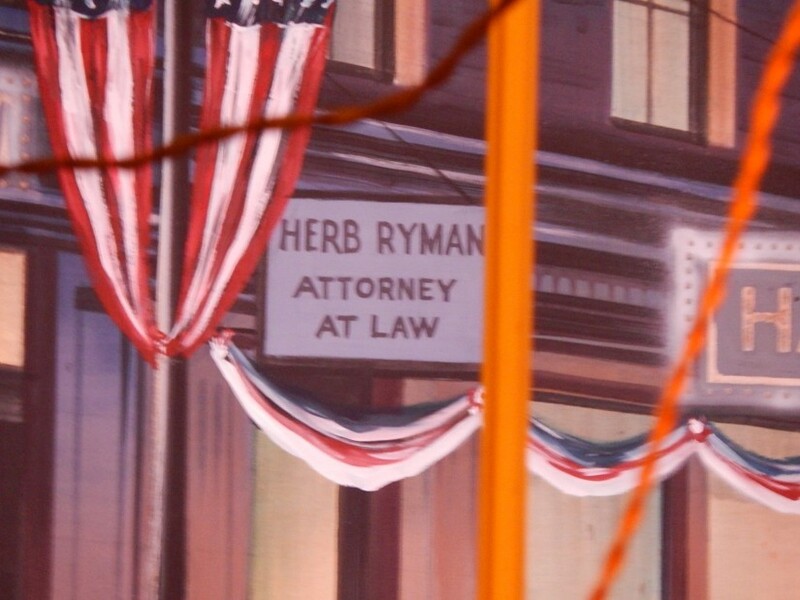 You’ll see a sign that says “Herb Ryman – Attorney at Law”. 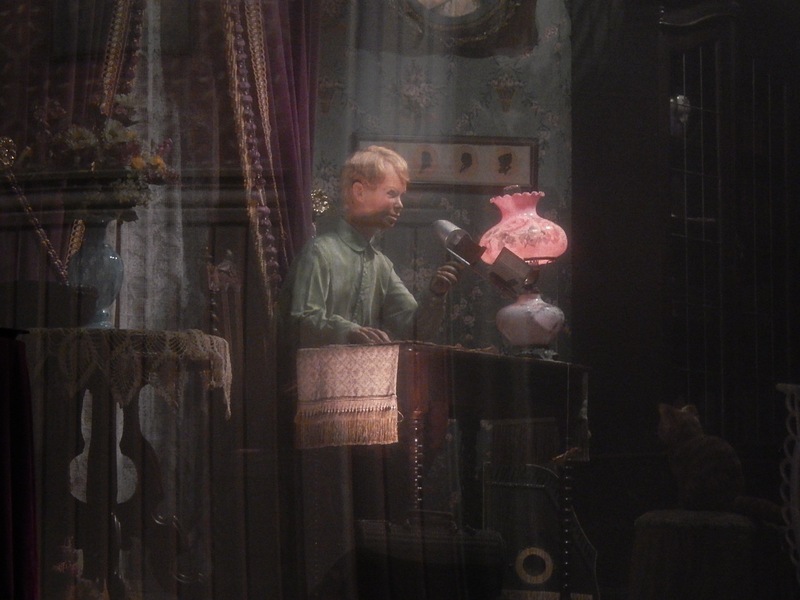 Ryman helped Walt design the original concept for Disneyland which he helped sell to the bankers. He also created this poster for Carousel of Progress which was used for the 1964 World’s Fair. 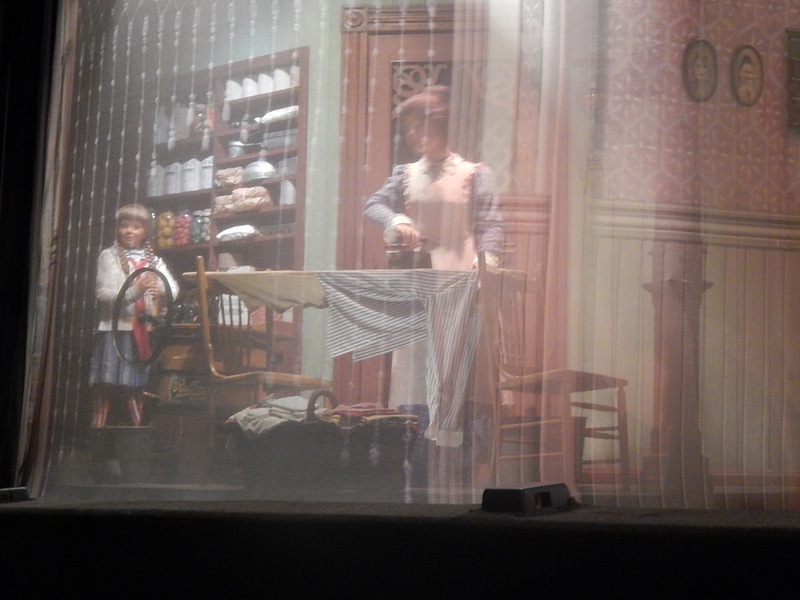 Sklar was the former head of WDI when Carousel of Progress got it’s last major show refurbishment in 1994. 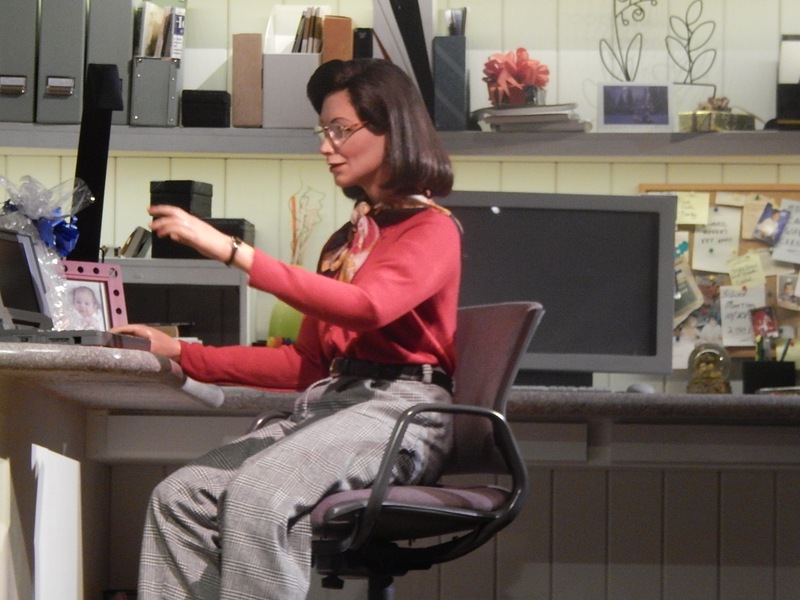 In the final Christmas scene, take a look at a bulletin board just behind Sarah’s computer. 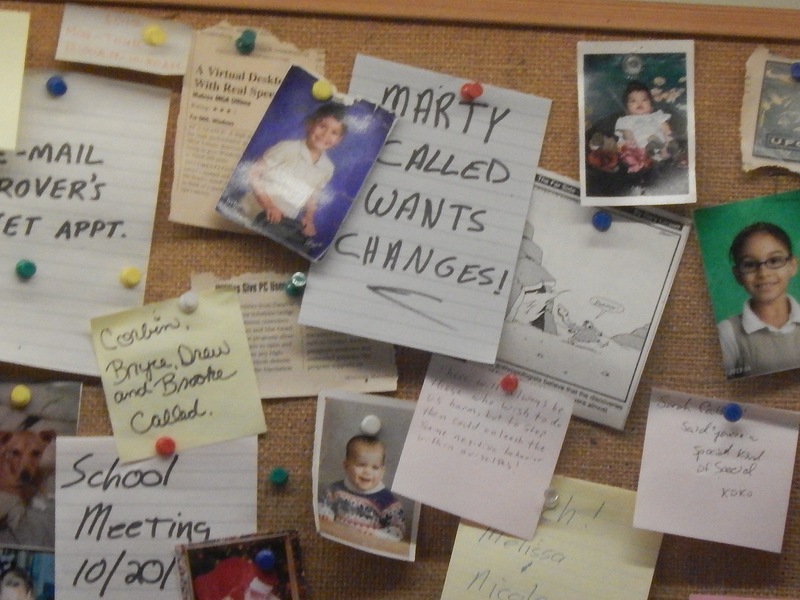 You’ll see a note that says “Marty called – wants changes!”. To the left of the Marty post it note is a dry erase board. 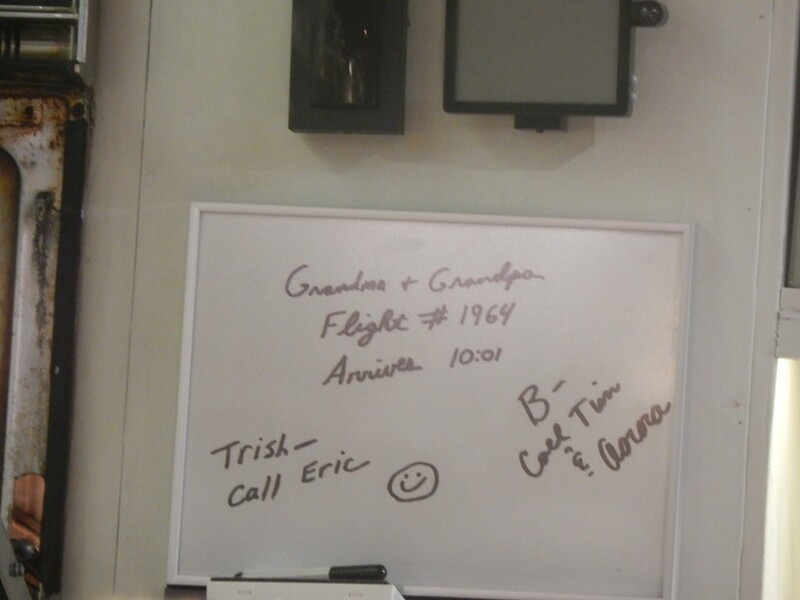 Cast Members who work the attraction will change what is on this board from time to time, but as of my last visit it featured “Flight #1964” which refers to the year the Carousel of Progress made it’s debut at the 1964 World’s Fair. In the past the flight number listed was #1401, which refers to the address of Imagineering headquarters at 1401 Flower Street in Glendale, California. 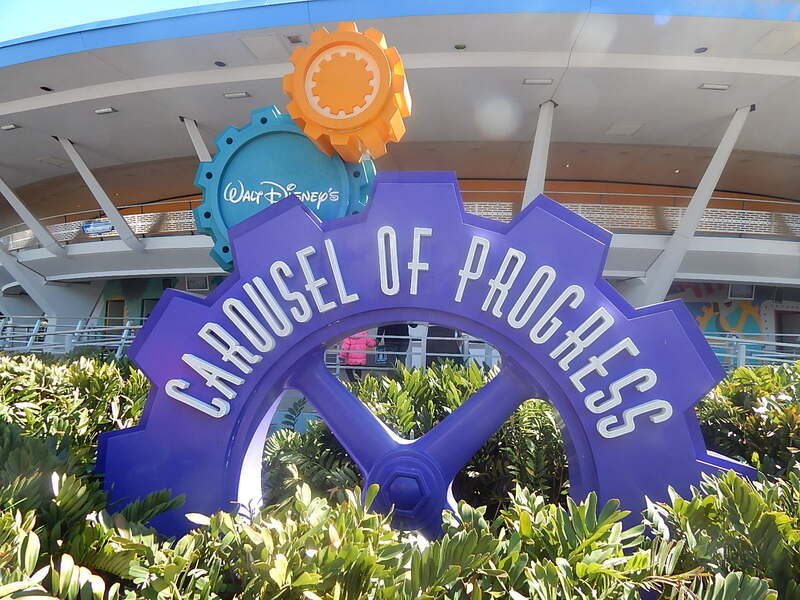 The Carousel of Progress never would have debuted at the 1964 World’s Fair had it not been for General Electric, who was the original sponsor and continued for many years. 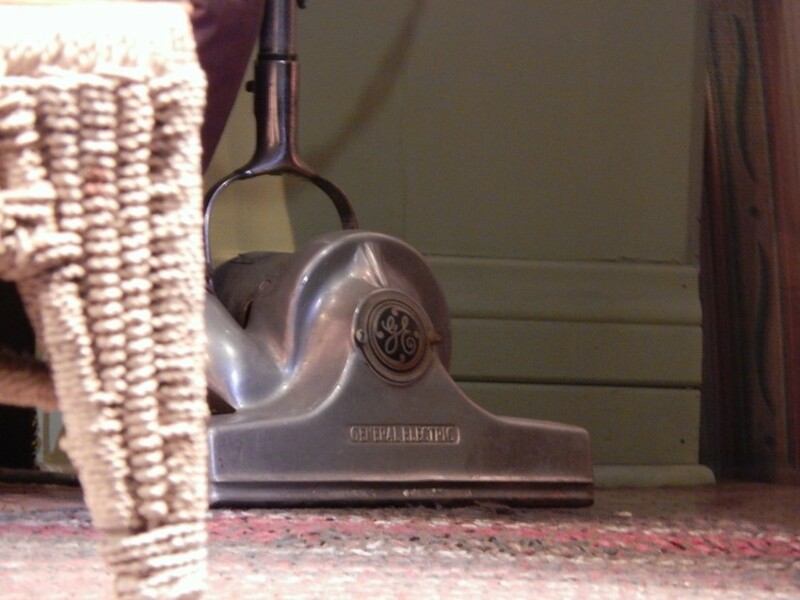 Even though GE no longer pays for sponsorship, there are still several logos on various props like the vacuum and the refrigerator from the “Fabulous 40’s” scene. I don’t have an answer to this one, but did you ever notice that there is a younger daughter who appears in the first scene with Sarah? She has no dialogue, but helps her mom do the laundry. She never makes another appearance throughout the entire show. What happened to her? If you have a reasonable answer, e-mail me and let me know! While it’s hardly a secret, it’s worth mentioning. 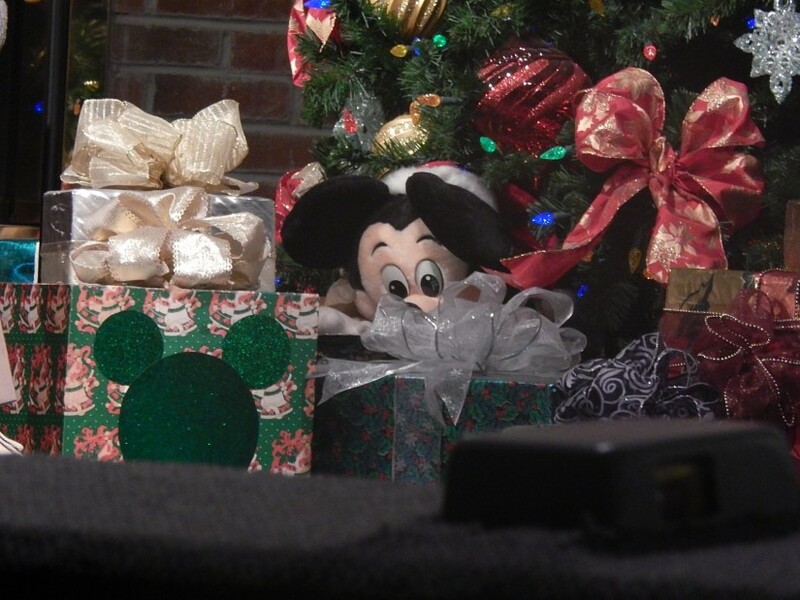 The final Christmas scene features several hidden Mickeys including: a Mickey plush sticking out of a wrapped present, a Mickey nutcracker on the fireplace mantle and a green Mickey silhouette on the front of one of the wrapped presents. The Father is played by Jean Sheapard, who is most famous and beloved for his role as the narrator in my Christmas tradition movie, “A Christmas Story”! 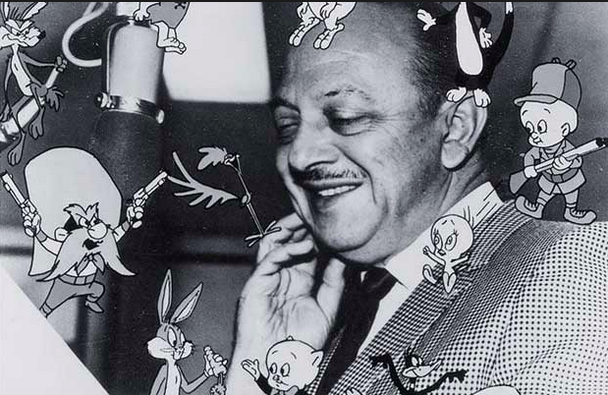 Mel Blanc voices several Carousel characters including the Parrot, the Radio Announcer and Uncle Orville. 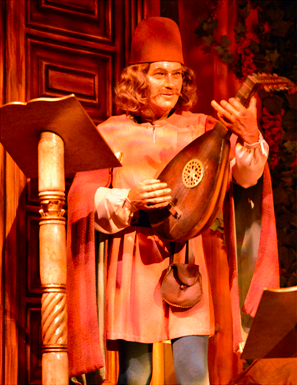 While Blanc provided the voice for Gideon in “Pinocchio”, he did very little work for the Walt Disney Company. However, you can hear Mel’s characters in nearly any Warner Brother cartoon ever made: Bugs Bunny, Daffy Duck, Porky Pig, Marvin the Martian, Yosemite Sam, Tweety Bird and many many more. He was known as the “Man of a Thousand Voices”. 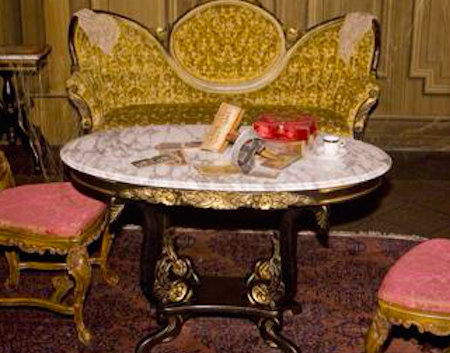 One of my favorite details of the Haunted Mansion is the stereoscope placed in the ballroom scene. 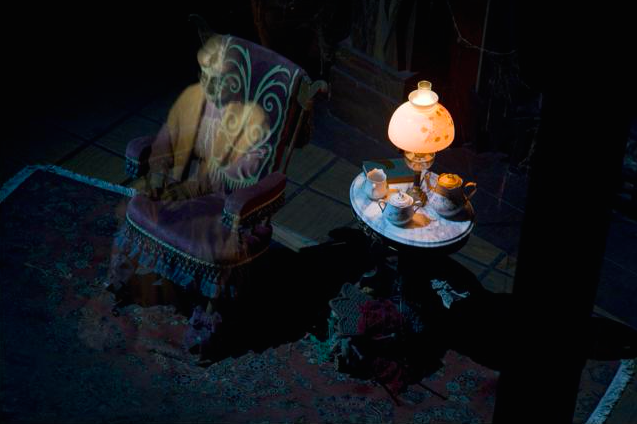 Nearly impossible to see without a camera and a zoom lens, there is a small table to the left of the dining room table with a stereoscope on it, just like the one Jimmy is holding in the Carousel of Progress “Roaring 20’s” scene. Trust me, it’s there. 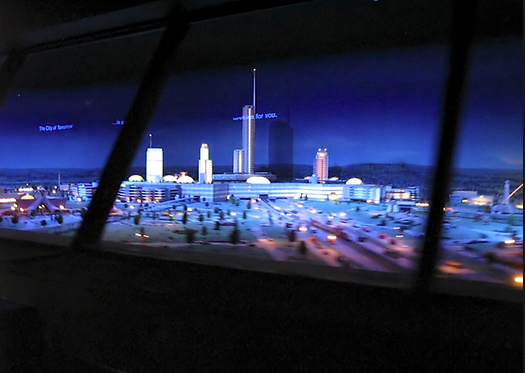 While riding the Peoplemover at Walt Disney World, you have probably noticed the first indoor show scene featuring a model city proposed by Walt Disney himself. That is a portion of the model that once sat on the second floor of the attraction for the 1964 World’s Fair. It was used as one of the first prototypes of what EPCOT could eventually be like. Which is another story entirely, for another time. Did I miss any? Let me know on Twitter or via our TPU Facebook Page! Click on any of the Amazon Links on this page to help support TPU when shopping online and it costs you nothing extra! This entry was posted in Disney and tagged 1964 World's Fair, A Christmas Story, carousel of progress, General Electric, Haunted Mansion, Herb Ryman, Marty Sklar, Peoplemover. Bookmark the permalink. Trackbacks are closed, but you can post a comment. I always assumed the kids in the family grow up as we progress. Same with the son, both the kids start out around 10, but by time we reach the last scene they both appear to be college age.